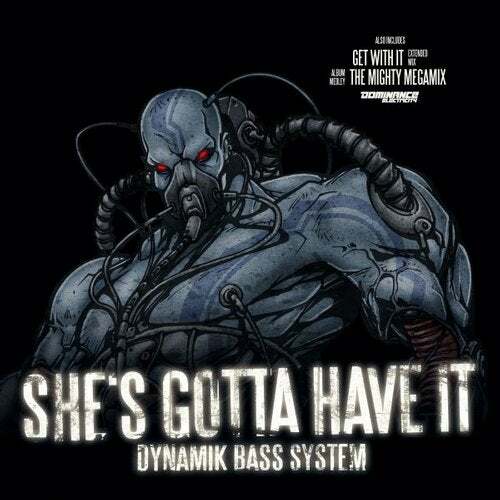 Two highlights of Dynamik Bass System's long awaited debute album "The Mighty Machine" on Dominance Electricity, are to be found in this single release! Next to an Album Megamix-Medley it features previously unreleased mixes/edits of 'She's Gotta Have It' and 'Get With It'! With pounding 808 drum programming, mystic analog synthesizer melodies and Vocoder vocals, these tracks represent Dynamik Bass System's trademark sound: classic westcoast Electrofunk ~ Electrobass from beyond space and time! You gotta have it!